Music unites. Music inspires. 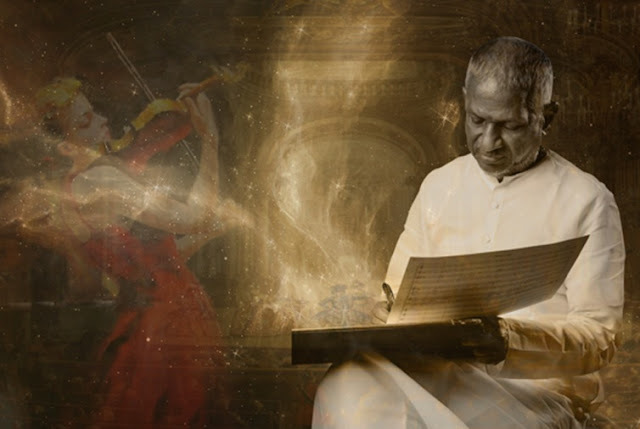 Ilaiyaraaja, Isaignani, as the master is called lovingly, has united and inspired generations with his spellbinding work across Tamil, Telugu, Kannada, Hindi, Malayalam, English and many others. The reclusive saintly master, known, over the decades, for his humility and unique skill in having mastered and disrupted the art form is all set to disrupt all over again choosing to tell this unique story to a whole new digital generation via the Facebook platform,which looks at this initiative as a regional-global story straddling millions of Ilaiyaraaja fans and music communities across a swathe of geographies and interests and Arré, the new multi-genre, multi-format digital destination. Joining this initiative is Mindshare, whose specialised content solutions arm Content+ is working with Arré to tell this important story using their deep-rooted expertise and understanding of consumers across the globe. This ‘digital-first’ film, will play out first on Facebook and Instagram platforms and Arré and Arré platforms.Arré has recently launched its music vertical, Arré Earworm, and has also entered the Tamil market and will soon be launching originals in Tamil. Ilaiyaraaja or Raja Sir, as he is fondly called, has a pan India and international fan base that till now have been fed with basic facts and statistics of his illustrious career. This ‘digital-first’ film will be a cinematic recreation of his unique and inspiring story. True to the nature of the medium and the genius of the artist, Arré is in the process of collaborating withdomestic and international creative talent to create what will be a path-defining moment for music and media.